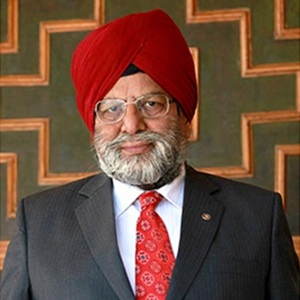 Mr. JS Bedi is Chairman of Gian Jyoti Group of Institutions and an eminent leader, who is on the board of many organizations and associations in the region. Mr. J.S. Bedi started his entrepreneurial journey in the year 1974, when he established his first institute namely Gian Jyoti Public School (now named as Gian Jyoti Global School) with humble beginning of two students which grew and blossomed into a tree with more than 1500 student on its roll today. Born on August 17, 1942 at Rasulpur (now in District Taran Taaran, Punjab), he graduated from DAV College, Chandigarh and then received his professional degree (LLB) from Punjab University. Executive Committee Member, Chandigarh Management Association (CMA).